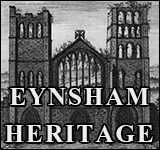 The people of Eynsham have always supported the building of affordable homes in their village whilst retaining easy access to the countryside on the west. But the scale of the developments abutting the congested A40, proposed by West Oxfordshire District Council (WODC), seemed like madness to them. 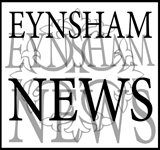 Last month, they “celebrated” the A40 as the new centre of Eynsham by stopping the traffic on the A40 and then dancing, singing and playing tennis and football on the road. Now, in stark contrast, they, their friends, families and neighbours will go for a walk and a picnic together! 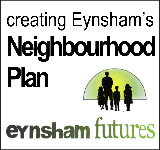 They plan to make the most of the last days of Summer in the beautiful countryside of their future "West Eynsham"! 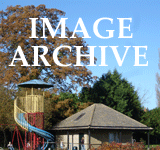 This picnic is their first response to the Government Inspector’s approval of West Oxfordshire District Council’s Local Plan which includes a 1,000 house development, link road and new primary school on the countryside and farmland to the west of the village (this is in addition to the proposed "Garden Village" 2,200 houses to the north). It's almost certain that building on this scale will go ahead now but WODC would like residents’ views on how this new development integrates with the existing community and takes account of the environmental qualities and characteristics of the area. The purpose of the walk and picnic is to look at and experience the land to be built on. This will provide an opportunity to talk informally about how to make the best of a sad situation and respond to WODC in ways that will result in the best possible development. EPIC will also offer help for navigating the consultation process so as many people as possible can share their views and suggestions. The walk will begin at the Witney Road/Acre End Street/Chilbridge Road roundabout in Eynsham on Sunday, 9th September at 11.30. The event will end at 13.30. There's a poster to download and share with friends, family and neighbours below the photos. EPIC Picnic & walk poster to download & share!